The response from the Public Prosecutor, adopted on December 5, 2014, was negative on the grounds that reported cases were not cases prosecuted ex officio. 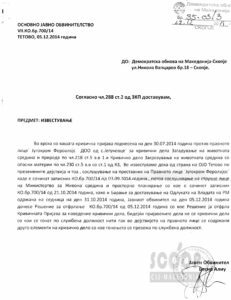 While Minister Izairi announces a lawsuit against Jugohrom, in the prosecution’s document that SCOOP has it can be seen that a representative from the Ministry of Environment and Physical Planning was consulted when making the negative response. Who is behind this pollutant before which institutions have proved weak in terms of the implementation of legal and constitutional provisions? When in 2005 the new Law on Environment was passed, it was believed that Macedonia would finally begin to solve the enormous pollution. Even after 10 years the country, facing bad economic indicators and high unemployment, is facing the same problem. During this decade the government put forward several deadlines for setting environmental filters for the biggest polluters, but only a small part of them obeyed. Last deadline was October 31, when the Ministry of Environment and Physical Planning was to close all pollutants that had not started the procedure to install the filters required by law. But a day later in a joint press conference in Skopje, Deputy Prime Minister for Economic Affairs Vladimir Pesevski and Minister of MEPP Nurhan Izairi appeared with some good news for pollutants: the deadline for Jugohrom was renewed for another two years. This was the second case of a deadline extension for Jugohrom during 2014 after March when they announced that “in the next two years 10 million Euros will be invested in the system of dust emissions”. 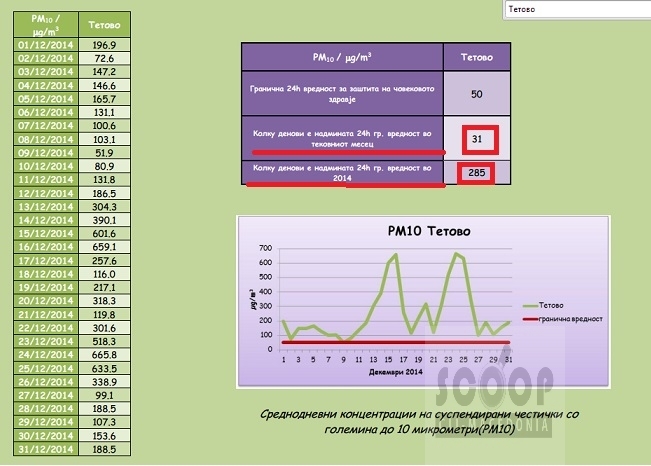 As a result of this policy the air in Tetovo is polluted, and ranges from 5 to 20 times more than allowed. According to official measurements by the Ministry, pollution higher than allowed was measured in 285 days during 2014. In December and January there was not a single day when pollution was below the permissible limit of 50 micrograms of solid particles per cubic meter. Iljaz Iljazi is an engineer and environmental experts who worked in Jugohrom for several years. He says that pollution from this plant is frightening. “With the capacity that it is working now, Jugohrom emits about 30 thousand tons of dust per day. In case of installing filters, it will emit only 800 kg of dust. The difference is great”, he says. According to his calculations, one inhabitant of this region spending at least four hours outside or in open spaces, daily inhales 5 milligrams of dust. “This is a disaster. Almost every home in Tetovo and the surrounding region has a patient with allergy and asthma”, adds Iljazi. This concentration of solid particles in the air (PM) has often ranked Tetovo third in the world according to pollution, after the city Accra in Ghana and Cairo in Egypt. Health workers alert to the consequences for the health of residents because of dangerous diseases caused by this level of air pollution. “Increased concentrations of PM10 particles are a serious risk factor for the occurrence of diseases of respiratory and cardiovascular system”, says Ratko Davitkovski, specialist in hygiene and health ecology. According to him, PM10 act through their diameter smaller than 10 micrometers, penetrating deep into the respiratory tract. “They can even enter directly into the bloodstream and act by their physical and chemical composition. Allergens or microbial compounds can be found in them”. Health consequences, he says, may be short-term and long-term. “Short-term are teasing throat or nose irritation, bronchitis, while long-term are an increasing number of patients with respiratory and cardiovascular diseases”. Most long-term, adds Davitkovski, is lung cancer. “The risk of death from cancer, respiratory and cardiovascular diseases has increased by 13 percent in people who are long-term exposed to PM10 particles”. Figures the SCOOP provided by the Institute of Public Health (IPH) support doctor Davitkovski’s findings. From 2010 to 2013 the number of cancer patients grew by nearly 80 percent. And in municipalities in the Tetovo region there was a significant increase in cancer patients. 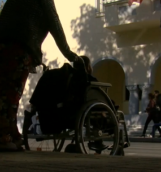 In Tetovo in 2010 the number of cases was 1,054 whereas three years later that number rose to 1,801. According to the total number in this time period, the municipality of Tetovo had 4,848 new patients. Second is Jegunovce, where Jugohrom is located, with a total of 402 new patients. Third is Tearce with 394, fourth is Bogovinje with 253, fifth is Brvenica with 145 and Zhelino is sixth with 120 new cancer patients over three years. According to the 2013 IPH report, Tetovo is at the top of the list according to the number of infected children with specific respiratory diseases caused by pollution, with about 6 times more than the national average. “This is a very serious problem that the state treats frivolously”, says Arianit Xhaferi of the environmental movement Eco Guerrilla. With the activists in the movement he has organized a series of protests against pollution, but they say the government is still deaf to their demands. “We are not requiring closure of the factory, but installation of filters. Now, without any environmental standards, it is not about pollution but poisoning over 300 thousand inhabitants”, says Aferi. 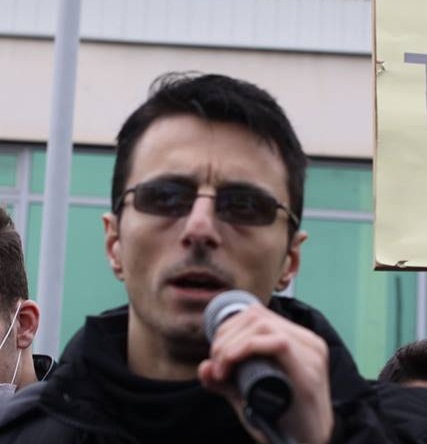 According to him, it is absurd the government to take care of the implementation of the Law against smoking in tearooms and to turn a blind eye to Jugohrom’s smoke, which covers the entire region of Polog. 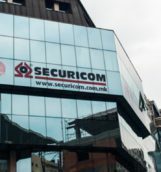 On the other hand, in response to dissatisfaction among citizens, MEPP announced charges against Jugohrom due to breach of the contract, turning on the second furnace. But Xhaferi says this is just buying time by the Minister Nurhan Izairi and the polluter itself. In this direction, SCOOP came to documents from the criminal charges that ever since July 2014 have been filed by the party DOM, a political entity focused on the environment, part of the government coalition. 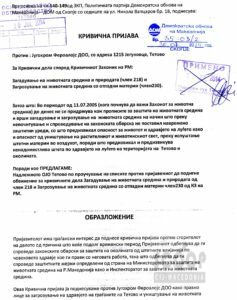 “We submit these criminal charges against the legal entity Jugohrom Feroalloys LLC for endangering the health of the citizens of Tetovo and destruction of the environment, starting from 11.7.2005 until today. The environmental law and the Constitution have been violated, which guarantee the right to clean air and environment”, it is said in the application filed to the Public Prosecutor in Tetovo, signed by the President of DOM, Liljana Popovska. The response from the Public Prosecutor, adopted on December 5, 2014, was negative, on the grounds that the reported cases were not cases that were prosecuted ex officio. While Minister Izairi announces a lawsuit, in the prosecution’s document it can be seen that a representative from the Ministry of Environment and Physical Planning was consulted when making the negative response. 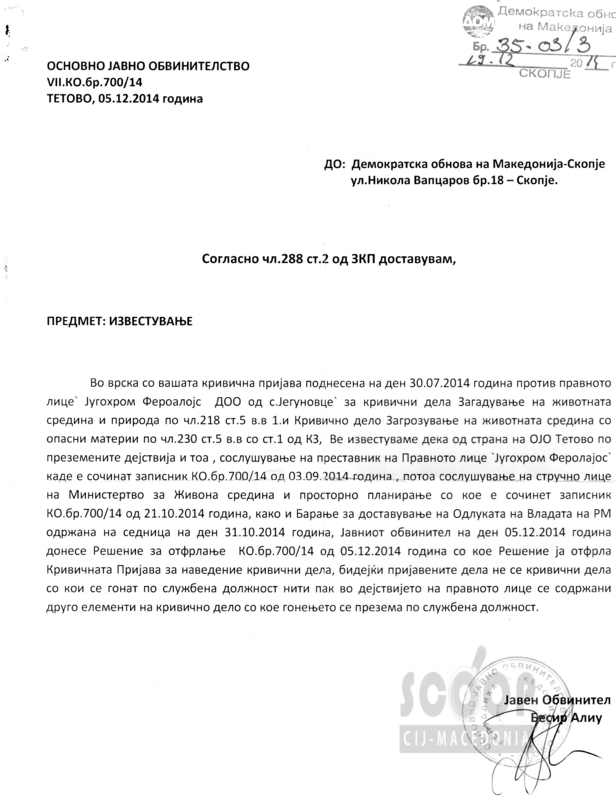 “After hearing the representative of the legal entity Jugohrom Feroalloys LLC…and an expert from the Ministry of Environment and Physical Planning, making the minutes KO No.700/14, and Request for submitting the decision of the Government of RM… on 05.12.2014 the Public Prosecutor passed a Decision to reject KO No.700/14 turning down criminal charges for these crimes, because neither the reported cases are criminal offenses prosecuted ex officio, nor the actions of the legal entity comprise other elements of the crime…”, it is said among other things in the Tetovo Prosecution’s decision, signed by the Public Prosecutor Besir Aliu. State Environmental Inspectorate, an institution which is part of the MEPP, proved powerless against polluters. 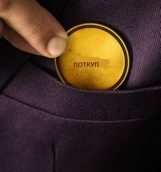 According to the NGO “Front 21/42”, over the last four years the State Inspectorate has imposed fines on polluters in the amount of 103 thousand Euros and has managed to collect only 3 thousand Euros. SCOOP tried to get in touch with the management of the legal entity, but to no avail. The factory which produces ferro-alloys and ferro-silicon is in the village of Jegunovce, 15 kilometers east of Tetovo. Smoke hovers over the Tetovo region, while the village is accustomed to live in smoke and stench of metals. 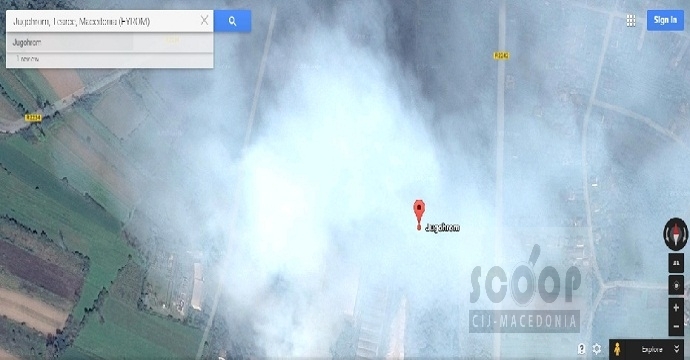 Huge chimneys continuously release tons of powder in one day, whose carcinogenic particles spread in diameter of over 50 kilometers. The security tries to ban the shooting, saying that it was a private property. Residents of Jegunovce are divided in their opinions about the plant. “If they close the plant, we have nowhere to work. 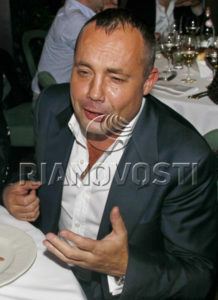 It is good to have fresh air, but the most important thing is to have enough food”, says Blagoja. He works in Jugohrom and its existence depends on the operation of this plant. Mehmet, also a worker in this pollutant, shares the same opinion. “All those taking about the filters want to close the plant. How will we endure without a job? The factory has been working for 60 years, and now some of them thought of that pollutant. Instead of demanding new jobs, they want to close it”. But not everyone agrees with the opinion of Blagoja and Mehmet, two of the 1,200 employees in Jugohrom. Most polled are concerned not only for health but also for soil pollution. “They are bringing products back. In Italy we exported beans and blueberries, but last year they returned them because they found metals in larger amounts than the permissible norms. If they (employees in Jugohrom) defend their jobs, we also want to survive. Filters must be put or it should close”, says Isljam. However, it is estimated that the owners of Jugohrom buy time to get a larger space to work without filters. In the application for extension of A-license to postpone the deadline, submitted to the MEPP on 18th February 2011, the reprogrammed plan for setting filters was also stated. 4 years ago this entity predicted the entire procedure to be completed this year, when it would complete the investment of 20 million Euros to meet the legal environmental standards. For 2011 Jugohrom promised an investment in the amount of 652 thousand Euros, in 2012 – 1 million 60 thousand Euros, 2013 – 9 million 815 thousand Euros, 2014 – 5 million 100 thousand Euros and in 2015 to complete the plan with an investment of 2 million 950 thousand Euros. However, Jugohrom has no announcements to begin the procedure this year, when according to this plan it is proposed to complete it. Who is behind this pollutant before which institutions have proved weak in terms of the implementation of legal and constitutional provisions? According to the documents provided by the Central Registry of Macedonia, the owner of the company Jugohrom is the company Circuitland Developments LTD based in the city of Limassol in Cyprus. The name of 69-year-old Branislav Djurovic occurs as a manager and authorized person. The balance sheet and income statement show that the total assets of this company reported for 2013 amount to 13,325,862,342 denars, or about 217 million Euros. The number of employees is 1,874, with the average net salary paid in 2013 20,576 denars, or 335 Euros. 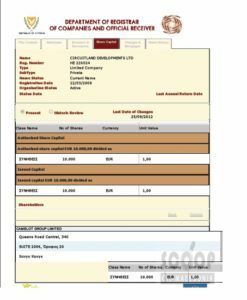 In the Cyprus Register of Companies, founder and owner of the company Circuitland Developments LTD is another company based in Hong Kong in China. It is about the famous holding in the world metal market – Camelot Group Limited. The company was founded in 1997, and the registered capital for 2013 was 10.3 million US dollars. 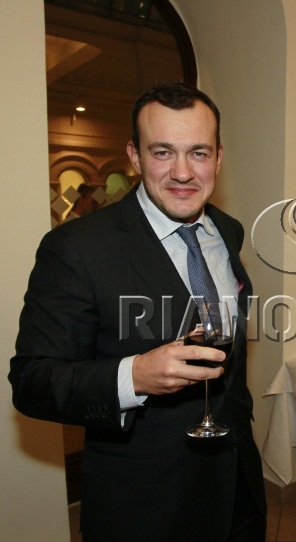 As owners appear Maxim Moskalev with reported residential address in the Chinese capital Beijing, and Dimitry Agramakov with address in Moscow – the capital of Russia. Barely anyone in Macedonia is aware that these two businessmen are owners of one of the biggest polluters in Macedonia and they have owned it since 2010. The address where their company is reported (Suite 2006, 20th Floor 340 Queen’s Road Central Hong Kong) is also the headquarters of many other companies around the world. The same can be noticed with the address in the city of Limassol in Cyprus, which serves as the headquarters of several companies. 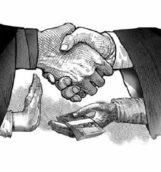 Cyprus and Hong Kong are on the list of so-called offshore countries with flexible tax policies that often attract controversial companies and dirty business. 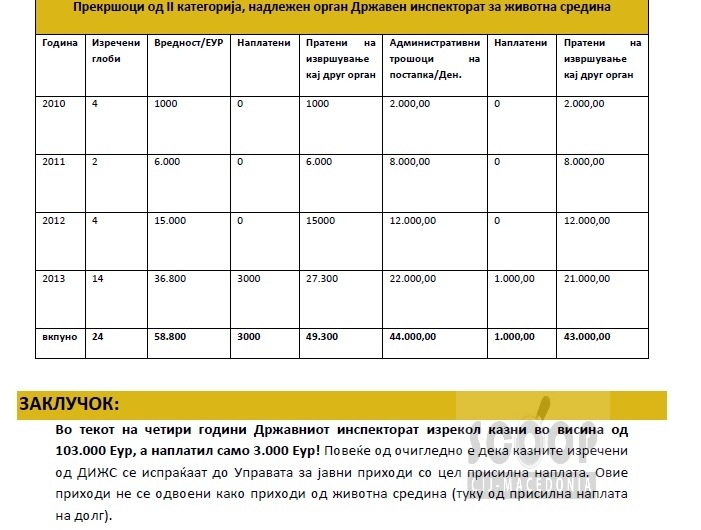 While Moskalev and Agramakov have once again extended the deadline for operation without starting the procedure for setting the filters, the citizens of Tetovo hope the decision will not be choosing between air and the workplace, but a package that includes both categories.